Star of the original US Production of the Scottsboro Boys Leads the West End Transfer. Directed and choreographed by five-time TONY Award winner Susan Stroman (The Producers and Bullets Over Broadway) The Scottsboro Boys is a dazzling and provocative musical, already hailed as a modern classic from the legendary creators of Chicago and Cabaret, John Kander and Fred Ebb. Winner of the Critics’ Circle Best Musical of 2013 and nominated for 12 Tony Awards and 6 Olivier Awards, this stunning show has delighted audiences and been unanimously acclaimed both on Broadway and in London. The Scottsboro Boys tells the true story of nine young black men, aged between 12 and 19, travelling on a train through Scottsboro, Alabama in 1931 in search of a new life. By the end of their journey their lives had been changed forever. Wrongly accused of an unspeakable crime, their trial would divide a nation. But behind the screaming headlines was the devastating story of nine young men, desperate to prove to the world that they mattered. 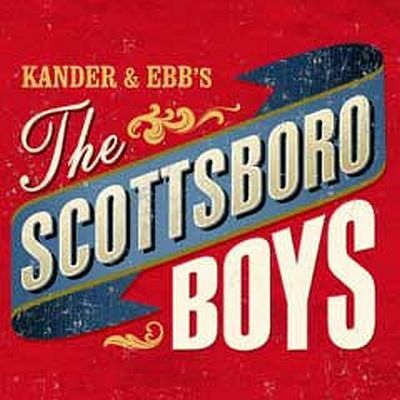 The Scottsboro Boys has music and lyrics by John Kander and Fred Ebb, book by David Thompson and direction and choreography by Susan Stroman. The production features set design by Beowulf Boritt, costume design by Toni-Leslie James, lighting design by Ken Billington, sound design by Paul Arditti, orchestration by Larry Hochman and casting by Jill Green. Tickets now on sale – visit www.scottsboromusicallondon.com for more information. The Scottsboro Boys is a Catherine Schreiber, Paula Marie Black and Young Vic Production.